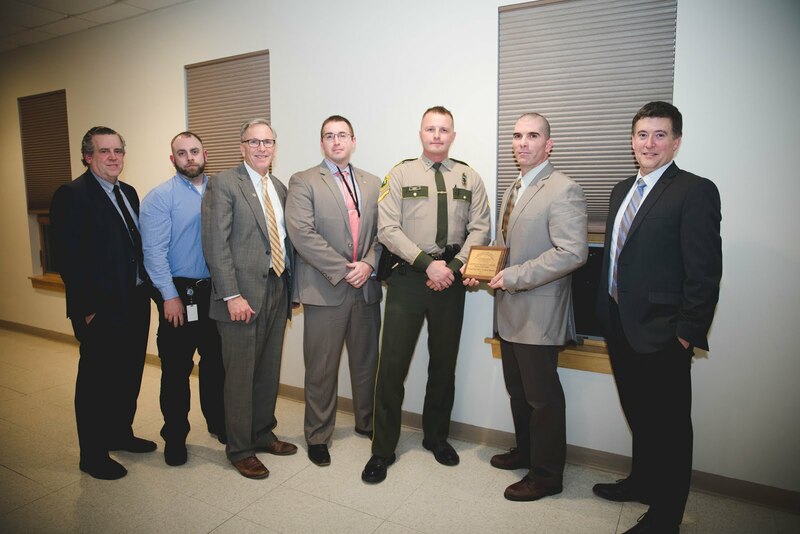 ST. ALBANS – The Vermont State Police barracks in St. Albans was honored this week for its work collaborating with Northwestern Counseling & Support Services to benefit the community the organizations serve. The Marcheta Townsend Community Partner Award is presented to individuals from outside NCSS who join with the agency to ensure success. The St. Albans Barracks, led by Lt. Maurice Lamothe, and the St. Albans Police Department, led by Chief Gary Taylor, were joint recipients of the 2018 honor. State police in St. Albans have worked with an embedded mental-health clinician on calls for service for more than two years. The program enables responding authorities to work together to provide services from the first moment they are needed and help increase successful outcomes in potentially dangerous situations, including through de-escalation techniques. Clinician Nicholas Tebbetts accompanies state troopers from the St. Albans barracks on nearly every call during his work week – everything from barricaded, suicidal subjects to vehicle crashes, Lt. Lamothe said. Northwestern Counseling & Support Services presented the award at the 2018 Board of Directors Annual Meeting & Recognition Night on Wednesday, Nov. 7, at the American Legion in St. Albans. “The biggest thing is all the stories you don’t hear about, that aren’t on the front page of the newspaper, that are going on day in and day out,” said Joe Halko, NCSS director of community relations. 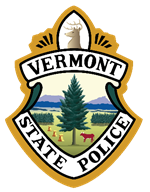 Commissioner Anderson said the state police are exploring expanding the embedded clinician program to barracks statewide following the success of the program in St. Albans. For more information or to arrange interviews, please see media contacts below. Photo attached, captioned as follows: Members of the Vermont State Police and Northwestern Counseling & Support Services stand for a photo after the St. Albans Barracks received the Marcheta Townsend Community Partner Award from NCSS on Wednesday night, Nov. 7, 2018, at the American Legion in St. Albans. Pictured from left to right are: Dr. Steve Broer, NCSS director of behavioral health services; Nic Tebbetts, mobile crisis outreach; Vermont Commissioner of Public Safety Thomas D. Anderson; VSP Trooper Mike Mattuchio; VSP Trooper Chris Hunt; VSP Lt. Maurice Lamothe, St. Albans Barracks commander; and Todd Bauman, NCSS executive director.